“Specimen 19” is a considered study of materials by Moon Choi. 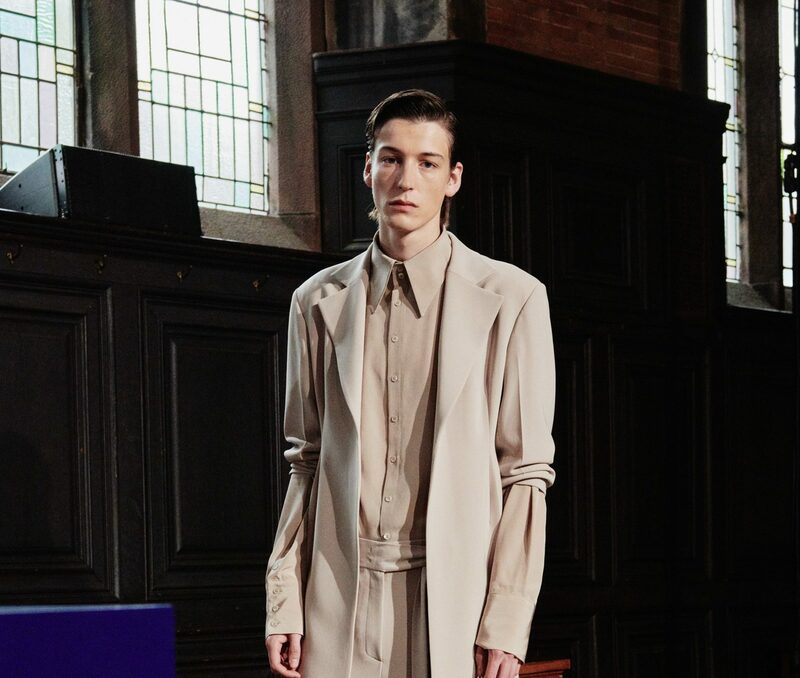 Findings are presented as a series of tailored garments, each constructed with delicate, rarefied fabrications. Moon Choi debuted relaxed outerwear and custom resin jewelry inspired by Aalto Vase styled as both earrings and men’s brooches. 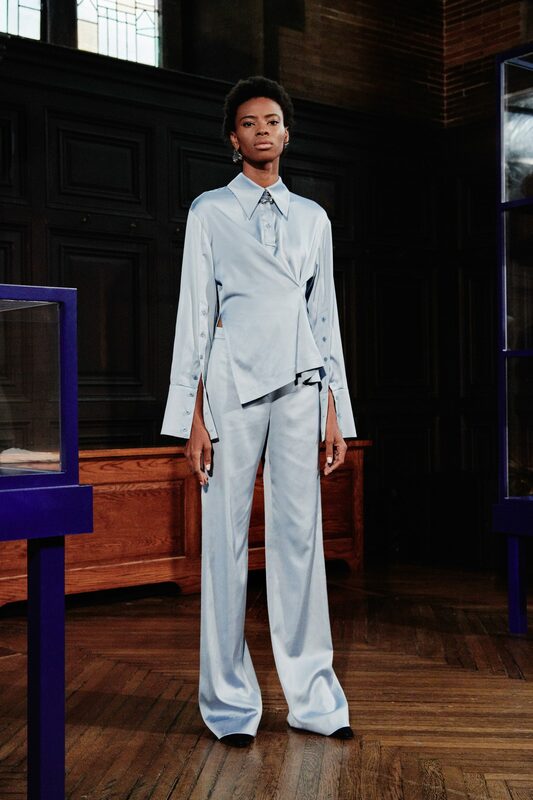 Moon Choi’s collection blurs the boundary between feminine and masculine as it gently shifts the notion of gender identity. Moon believes clothes are not defined by gender. 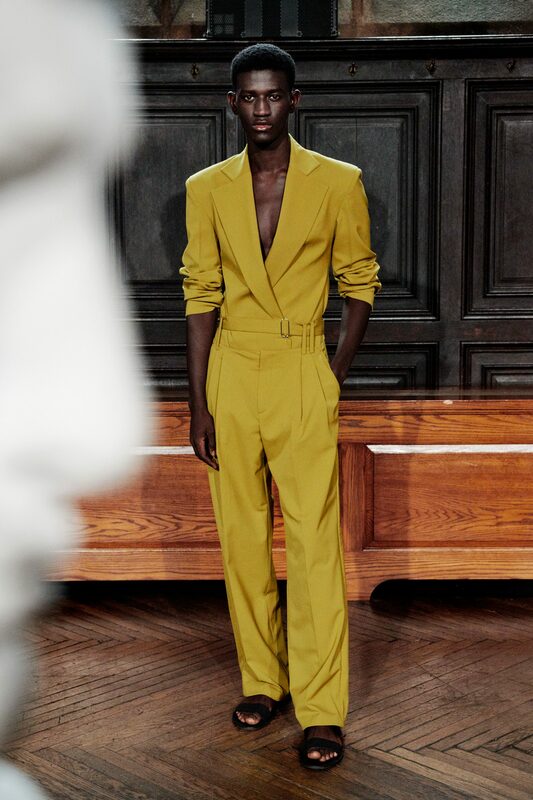 The Spring/Summer collection emphasizes drape detail and delicate silk in an elegant tailoring, with ruched detailing to add refreshing texture to suiting. The installation takes the form of a cabinet of curiosities, an encyclopedic, room-sized collection of extraordinary objects. Its arrangement reflects the designer’s material learnings, explorations and process. Moon plays with the ideas of confidence and power by blending femininity and masculinity. 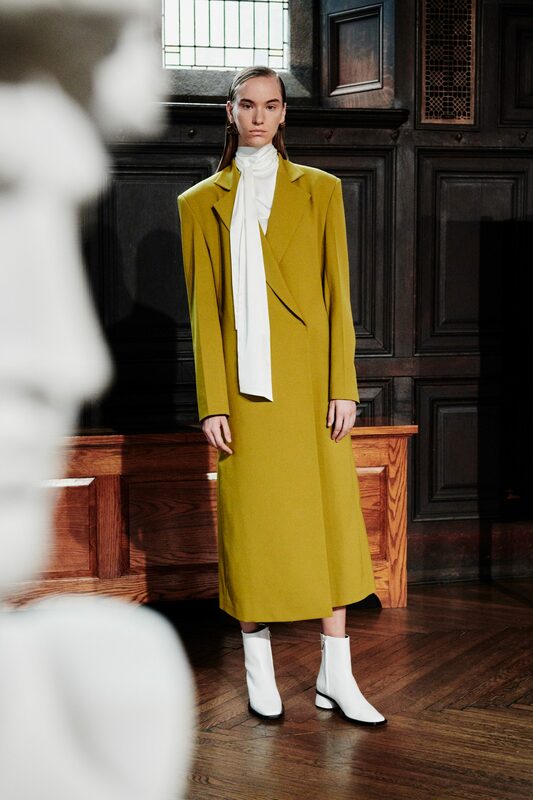 She features her signature tailoring but also plays with olive, lemon and lilac color ways and silky fabrication that feel more sensual and feminine. This collection, just like day and night, is a balancing act where one cannot live without the other. This collection gave me the idea of living art. The clothes was amazing. Had to be one of my fav for this season. What and how a modern day woman should look. Important and Elegant and Expensive.